We only stayed one night in Vicksburg before heading north in to Arkansas. Before leaving Vicksburg we drove into the historic downtown to check it out. It is your typical quaint downtown with beautiful brick buildings, some dilapidated, some in the process of being restored. We wandered into the Coca-Cola Museum. We hadn't looked into it at all beforehand so we didn't know what to expect. However we learned a lot about the history of Coca-Cola and Vicksburg. It turns out when Coca-Cola was created in 1866 in Atlanta it was only available as a fountain drink. 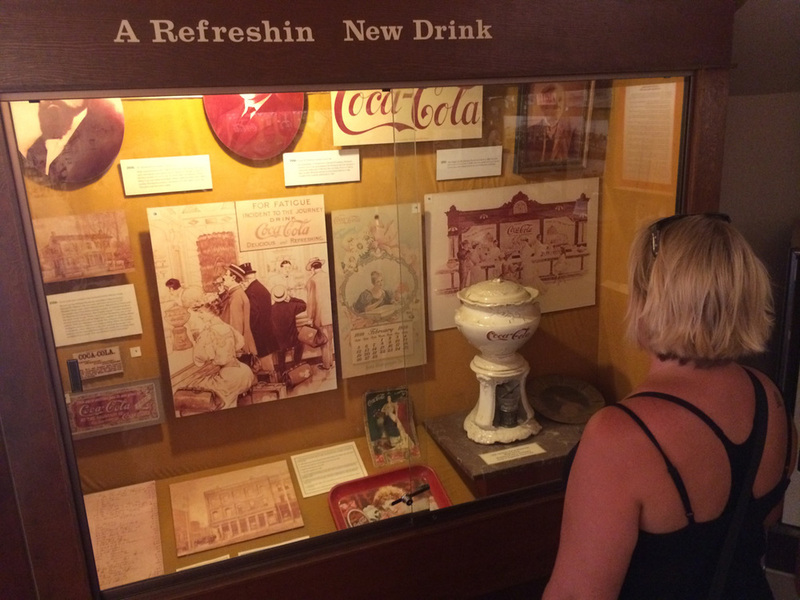 Some people in Vicksburg who were bottling soda water made the connection in their heads that Coca-Cola could be bottled in 1894. That's remarkable. The museum was actually really interesting. 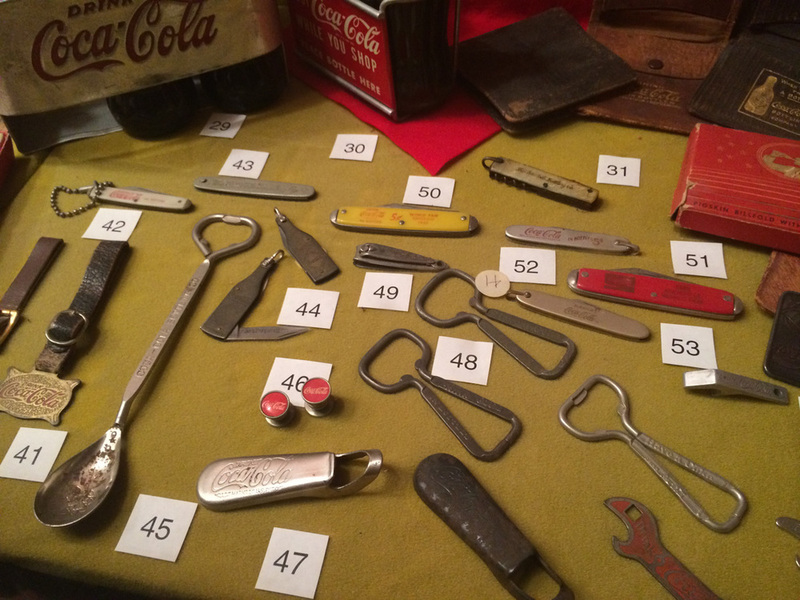 They have loads of historical artifacts and memorabilia. Tessa has never watched the TV show Duck Dynasty (unfamiliar?). Sarah Michael has enjoyed it. I find the characters mindlessly entertaining. Sarah Michael asked if West Monroe, Louisiana (the location of their Duck Commander store) was on our route. It can be! It will be! It was! I was experimenting with a new GoPro location on the RV. It didn't end up being a great angle, but I ended up capturing visitors coming and going in the parking lot while we made our pilgrimage. So many people! If you've seen the show this should look familiar. The loading dock. Remember when the boys flooded it? So much fun. If you only get one photo, however, this is the one you get. People line up to have their picture taken in front of the company's sign. I'm serious about the line. There's a lot of taking turns with cameras, too, as in "Can you take a picture of my family? Thank you, can I take a picture of your family for you?" So we did that and then the girls went inside while I stayed and became the photographer for several groups. People walked up, handed me their phone or camera like I worked there, and I was very happy. I love doing that. Do they actually make duck calls here? The show would lead you to believe they do. But it seems to be mostly a gift shop inside. A big gift shop. And there are a lot of people. These are what built the empire. Then we headed north for Arkansas. It is a beautiful state. The campground we're at is really nice, located on the Lake Catherine. Family picture on the lake. Beautiful fog hangs above the water.